Arthritis is a very common condition referring to joint pain. It included swelling, pain and stiffness in the joints. The symptoms can be mild to moderate and severe. Turmeric, a staple spice in Asian cooking, is filled with a number of antioxidant, anti-mutagenic, anti-carcinogenic, anti-bacterial, anti-viral, anti-fungal and anti-inflammatory properties. It is quite well known an ingredient to relieve the pain caused by arthritis. 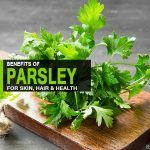 It finds extensive use in Ayurveda and because of its holistic benefits, it has now stepped into the Western medicinal practice, too. Here we will discuss how to use turmeric for arthritis pain relief. Does Turmeric Help Relieve Arthritic Pain? 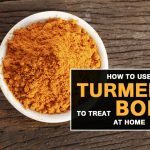 How To Use Turmeric for Arthritis? 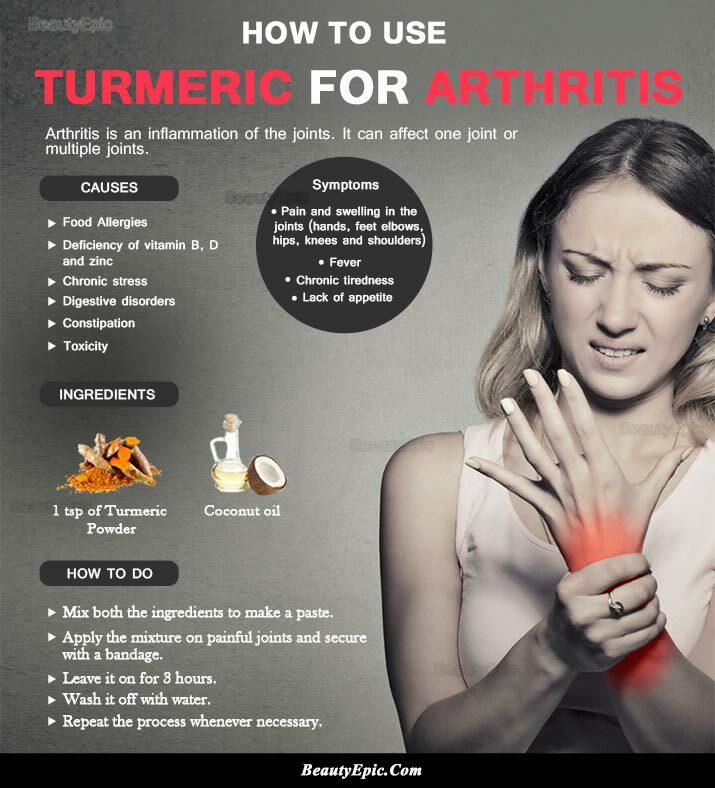 Turmeric Capsules Or Turmeric Tablets for Arthritis? 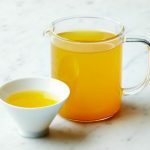 If you are looking for a way to get rid of arthritis without the use of a medicine, then turmeric is the alternative. Daily consumption of turmeric provides relief from mild joint pain and inflammation. Curcumin found in turemeric is one of the main factor which helps in treating osteoarthritis and rheumatoid arthritis. It also prevents degradation and loss of bone tissue. 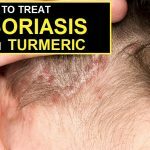 Studies have shown that turmeric is more effective in altering gene expression in order to prevent worsening and progression of the disease than reducing it. Its topical application controls pain and inflammation. It does not cause gastric erosion, a common side effect of non-steroidal anti-inflammatory drugs. It also helps overcome the side effects caused by these medicines. Turmeric capsules are more effective than tablets. Tablets are heated and a stabilizer is added to give them shape. Heating reduces the potency of turmeric. On the other hand, capsules are freeze-dried and thus remain fresh. The recommended daily dose is 250 to 500 mg thrice. Prepare a paste by mixing turmeric with coconut oil or extra virgin olive oil. Gently massage the paste on the affected areas. Use a gauze to cover the area and leave it for 30 minutes to one hour. After removing the gauze, clean the area with cool water. For effective and visible results, use this method couple of times during a day for a week or two. You would need 2 teaspoons of coconut oil, 1-2 egg yolks and 1 tablespoon turmeric powder. Put them all in a blender and blend it thoroughly. Another method that you can try out is to bowl 1 litre of water and add a tablespoon of curcumin powder in it. Let the mixture boil for 10 minutes. Drink the mixture once it has cooled down a little bit. Rememeber that it should be consumed within 4 hours. When taken in high doses, turmeric acts as a blood thinner and causes stomach upset. 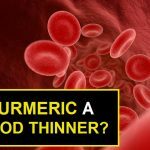 Therefore, avoid turmeric/curcumin if you are on blood thinners such as warfarin (Coumadin), are about to undergo any surgery, are pregnant, or have gallbladder disease. If bleeding occurs with the use of turmeric, stop consuming it immediately and get the required medical help. It is better to opt for organic turmeric powder. Using curry powder is not advisable since it contains low amounts of curcumin. Since turmeric is high in oxalates, one should select curcumin supplements if you suffer from kidney stones or gout. Turmeric’s properties make it anti-arthritic. Its use not only relieves pain but attempts to alter the prevalence of arthritis at a molecular and genetic level. 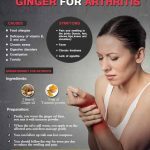 How Does Ginger Work for Arthritis?